If you are in veterinary medicine, you’ve been on the receiving end of this conversation. I don’t care if you work exclusively on fixing the practice air conditioner… if people know you have been inside the building, they want your input. Most of us adore these encounters, at least when we start our careers. We are getting to use our knowledge, help people out, and generally feel useful. As time goes on, however, we often wear down. We work so hard at the clinic, and most of that work is mental. Being asked to labor over problems outside of work, especially when we can’t see the patient, is at first draining and later resentment-inducing. Why do some people have to pay for our time and expertise while others can corner us on an airplane and get a 90-minute consultation for free? Why do others get to talk about family traditions at the Christmas party while we have to discuss litterbox placement? Let me start off by saying that we are not alone in this struggle. If you are in a knowledge-based business (e.g. mechanic, IT specialist, lawyer, accountant, personal trainer, etc.) people have sought ways to get your insight without getting out their credit card. I bet you’ve done the same. I know I have. It’s completely understandable. Unlike other professions, however, I think we have it a bit worse. Partly, this is because people genuinely LOVE their pets and want to talk about them, so the frequency we are put in these situations is quite high. Also, we feel a moral obligation to help these animals. 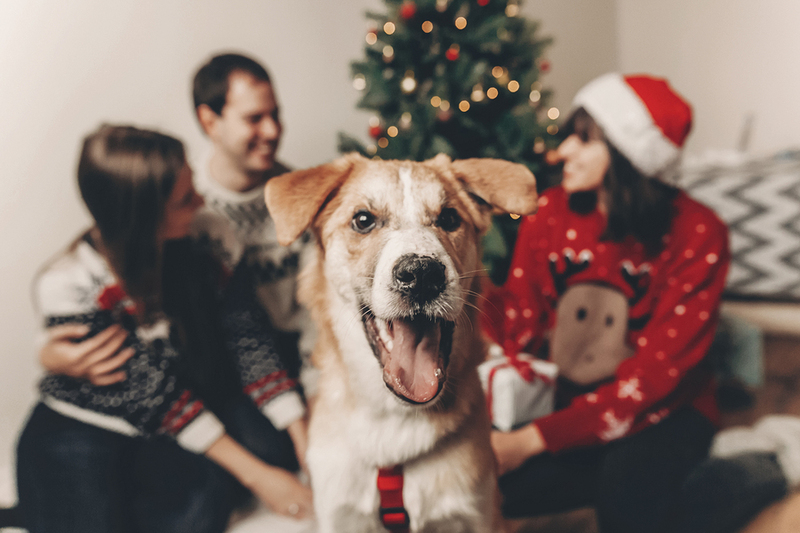 The accountant at Thanksgiving will not lose sleep worrying that a stranger’s taxes might not get done correctly… but we’ll worry about their dog being in pain or ending up at a shelter. It’s enough to make us feel trapped. So, what do we do when people ask us for consultations at social functions? First, realize that this is not an all-or-none proposition. Sometimes you will be in a mood to talk, and sometimes you won’t. Sometimes the person asking you will be a friend who has gone to the mat for you dozens of times in the past, and sometimes they will be a ran-do you’ll never see again. Sometimes they will ask you easy questions that have a one-sentence or yes/no answer, and sometimes they will require a white-board to respond. Sometimes the person asking is in a tight financial spot, and sometimes they just like getting stuff for free. You don’t have to be dogmatic in taking all questions or turning all away. Be gentle on yourself and don’t worry about setting a precedent. Do what you want. It’s your free time after all. In the past, I always worried about being rude in these situations. If someone asks you for advice and you nicely tell them “I think we need to get a look and see what’s going on. Can you bring him in to the office next week?” is that rude? It can certainly feel that way. My feeling after 10 years in practice is that this response is absolutely no ruder than asking someone for a free consultation when you corner them in an elevator or at the dessert table. For some reason, that realization has made the idea of declining much more palatable. Let me pause here again and make clear that I’m not trying to bash people who ask us for help. I know I have asked other professionals for help in the same way (“My car goes ca-thunka, ca-thunka, ca-thunka when I turn left. Should I do something about that?”). I don’t think we should judge people harshly for asking for our help. I do think, however, that we have the right to politely decline their request. As the person asking, I wouldn’t want to make anyone feel resentful. I’d much rather them refer me to their office and I can choose to call or not. Third, consider the (possible) hypocrisy. You’re in a place where someone you want to help has a question, and you unfortunately do not have access to their pet and cannot see what they are talking about. Does this situation sound familiar? It should. It happens every single time a client calls your clinic on the phone. I don’t see much difference at all. When someone at a social event asks you a question, consider how you would instruct your staff to answer it if the person was calling your clinic. If your front desk said “Ooh… That sounds bad. Put some neo-sporin on it and see what happens,” what would you say, and why would you say it? Honestly, this isn’t about making money. This is about patient care and doing what’s right. If you would have an aneurism about your staff saying something over the phone, maybe don’t say that same thing at the PTA meeting. Finally, say it in a productive way. This person has asked for your help, so respond in a helpful way. That doesn’t have to mean taking 90 minutes to fully address their question. It can mean telling them your initial thoughts and/or concerns, and then giving them a clear action-step, they can use in resolving the issue. “I’m concerned about a few things. We need to get her examined and maybe run some tests. I’d go see your vet next week if you can,” or “I can’t tell you it’s not a medical problem. We should rule that out. Can you get him in to your vet?” Remember how you would handle this inquiry if it came over the phone and stick to your guns. We are lucky to be in a constant position where we can help people and where they see value in us. Some people rarely experience that feeling. Remember that there is a spectrum on how we respond to requests for our insight when we’re out in the world. At one end, we should not want to feel taken advantage of, burned out, or resentful. At the other, we also shouldn’t become callous, uncaring, or unhelpful. Give yourself permission to find the middle path. Do what you need and want to do, and do what’s right for the pets. At the same time, reject the idea that you’re obligated to work whenever asked. You deserve a break.